In order to showcase machine cancellations to the visitors attending the NYC2016 stamp show, the Society, with the help of Mike Ellingson, created a single frame exhibit of the history of many United States cancellations. 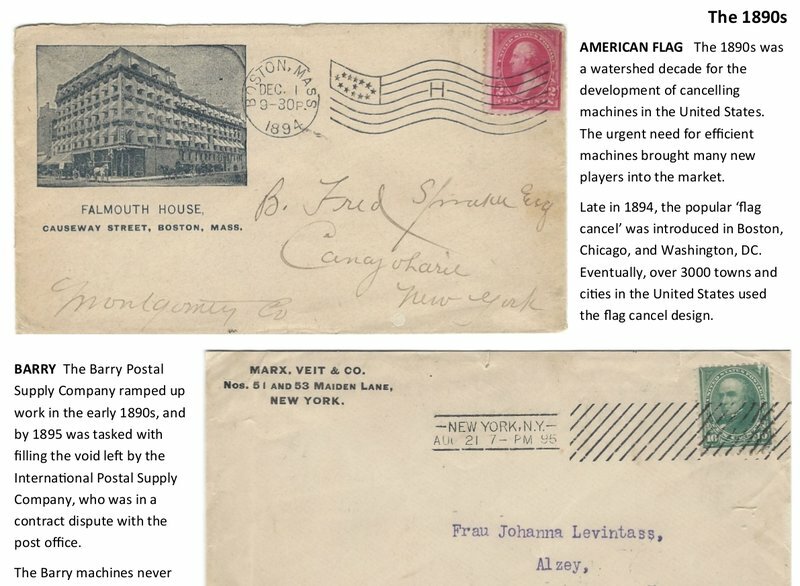 The exhibit is available online on this website at: exhibit for the NYC2016 stamp show, describing and illustrating the history of U. S. machine cancellations. Viewing this exhibit is free for all users, with the understanding that all uses of this material are to be non-commercial. Based on Code by Louis Lazaris. See article and original inspiration.